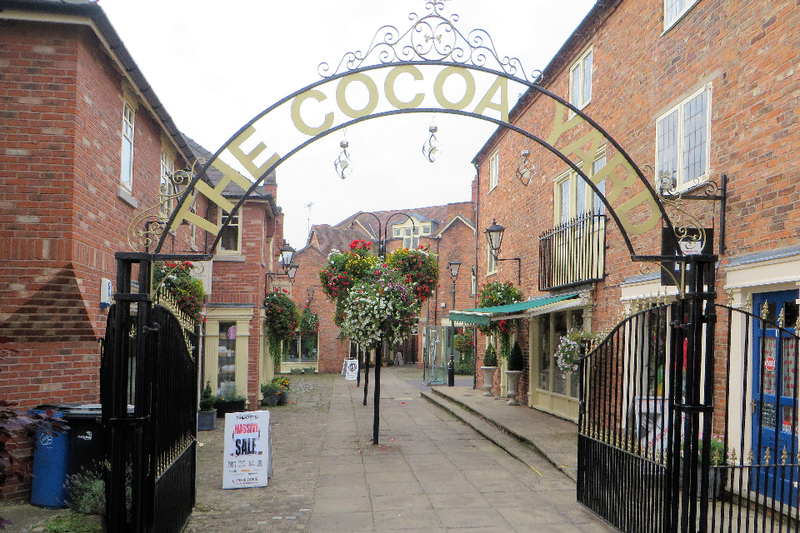 If you’ve visited Nantwich, you may well have seen Cocoa Yard (formerly known as Cocoa House Yard), but do you know why it got its name? If you’ve visited my pages on Nantwich Pubs, you’ll probably be surprised how many there have been in this small market town. 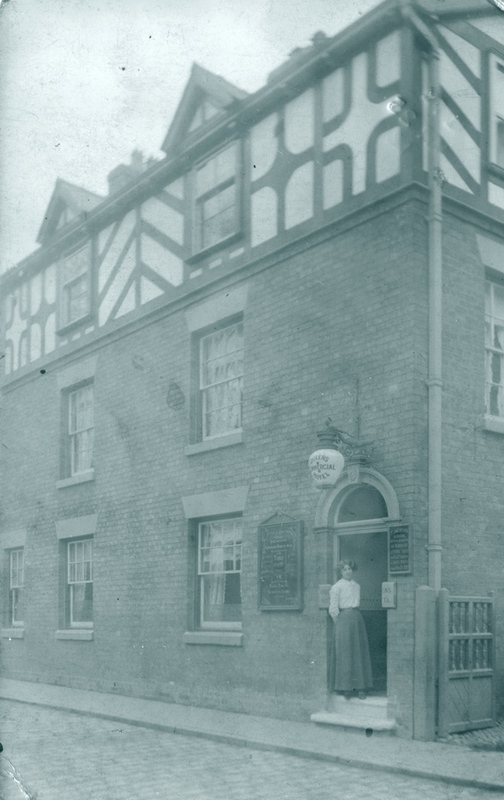 In Victorian times there was also a strong Temperance Movement in Nantwich. Religion and education were some of the main forces behind the temperance movement, and also some industrialists (concerned about absenteeism caused by drunkenness) would also support it. 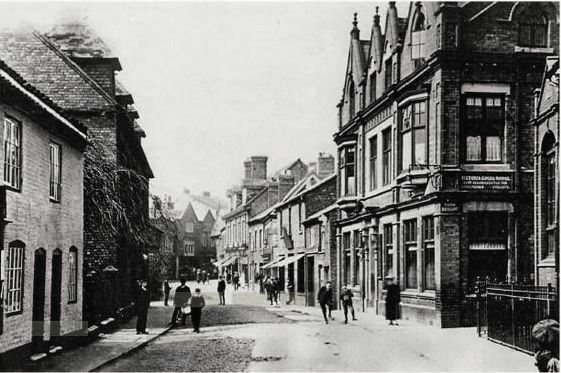 James Hall, a local historian, tells us in September 1834 the first Temperance Society was formed in Nantwich. A E Musson (Trade Union and Social History, 2013) tells us that in Nantwich the members were “split about religion, and divided themselves into two societies”. which says: “As part of the temperance movement, non-alcoholic drinks, accommodation, reading and meeting rooms were provided”. 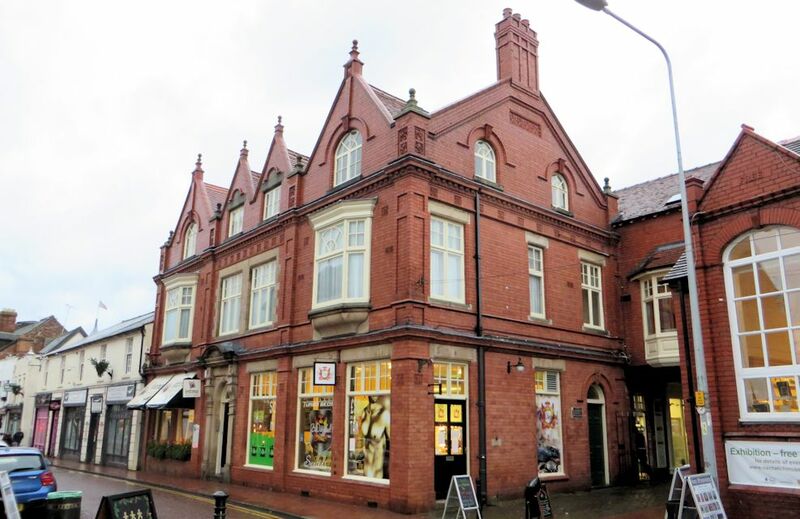 In 1897 the Cheshire Observer records the death of John Johnson, a retired tailor and “well known and highly respected townsman” who, amongst other things, was a director of the Nantwich Cocoa House Company. In Morris’s 1874 Directory Thomas Townley is still running a Temperance Hotel on Chuchyardside and James Weir is running a Temperance Hotel on Pillory Street. 8 Beam Street has an interesting history. It’s been a pub since 1730, and has had a variety of names. 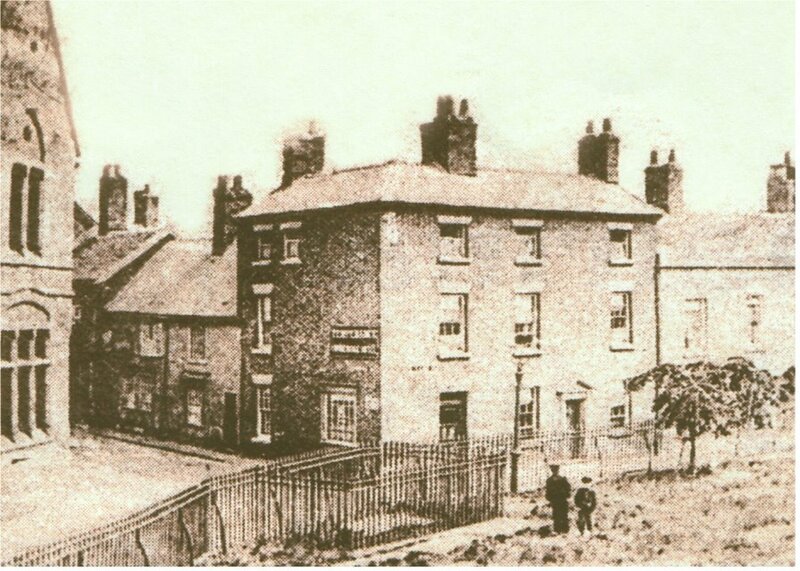 It was known as the Golden Talbot, and then the Dog in the 1850’s, and then the Peacock Tavern and then the Talbot (despite there being another pub called the Talbot just around the corner). 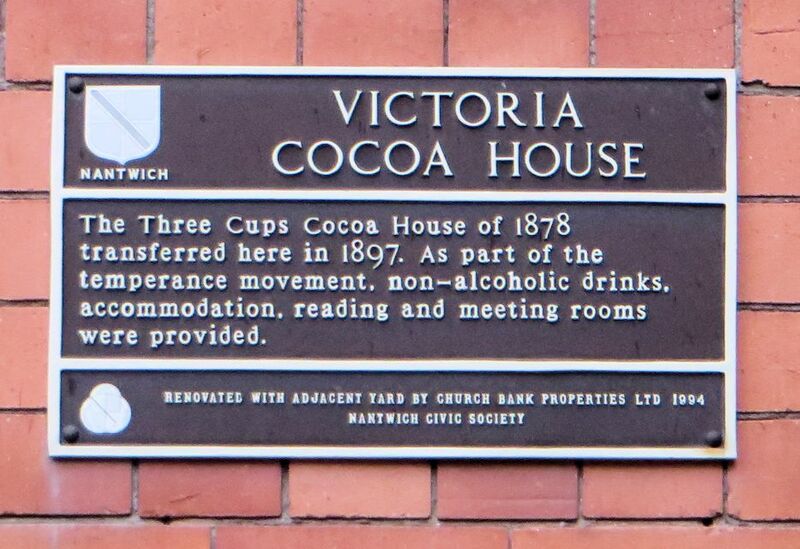 In 1883 it became a cocoa house and traded for 20 years, trying to persuade people away from the demon drink! 1906 Kelly’s Directory of Cheshire shows three Temperance Hotels. Thomas Dutton was shown as the manager of the Victoria Cocoa House. Also on Pillory Street was Queen’s, where William Hearnden was the proprietor. In the above picture you can see Sarah Hearnden standing in the doorway. An advert in the Manchester Courier and Lancashire General Advertiser, on the 15 July 1884, tells us that Mrs Hearnden is conducting “The Select Country Agency for suiting Ladies and Servants” at the Temperance Commercial Hotel. On 46 Hospital Street (next to the Vine), Mrs. Sarah Stevens ran the Alliance Temperance Hotel. 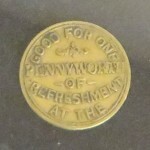 given to workers. 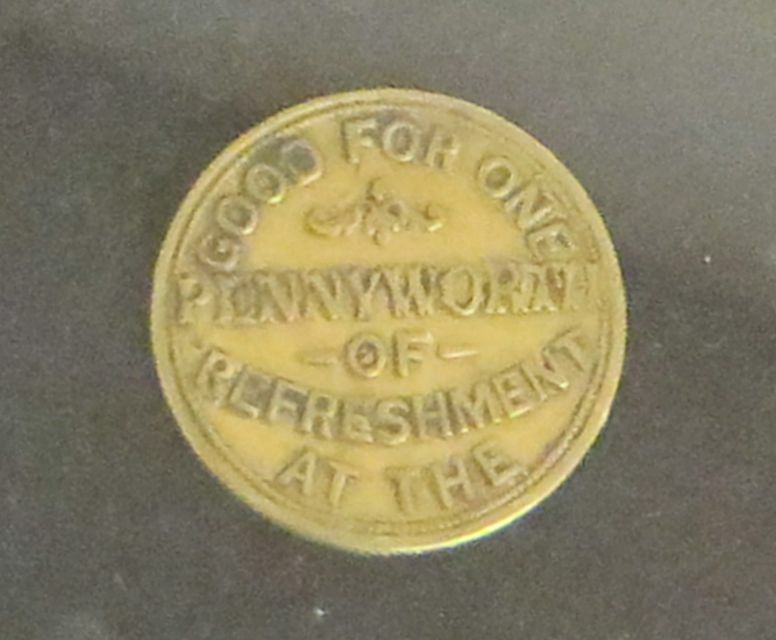 It says “Good for one pennyworth of refreshment at the” and on the other side “Cocoa House Beam Street Nantwich “. 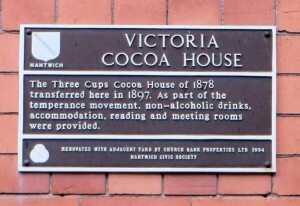 Nantwich Farmers Club held meetings in the Victoria Cocoa House in 1914 and inquests and auctions were also being held there. On the 12th day of December, 1928 the Nantwich Cocoa House Company Limited went into voluntary liquidation.